The Battle of the Super-Pets! ; The Bride of Mr. Myxyzptlk! ; Supergirl’s Farewell to Earth! 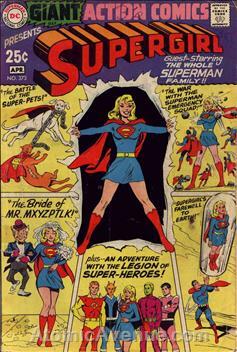 ; The War Between Supergirl and the Supermen Emergency Squad! ; Supergirl’s Greatest Challenge!